The future of design, collaboration, visualization—business itself—is immersive. SOLIDWORKS World 2019 has come and gone, but the business world has only just begun to use the tools it revealed to the world. For the next generation of makers, doers, and innovators that want to create things and create them well, there has been incredible advancements in computer-aided design (CAD) and virtual/extended reality (VR/XR) solutions to bring their ideas to life. sold designs more effectively with immersive experiences. Those who attended the XR Partners Panel Discussion were treated to an even deeper XR dive with David Randle, Sr. Manager Strategy & Business Development at Dassault Systèmes and David Weinstein, Director of VR, NVIDIA and learned how to address the ideal use cases with the current scope of available technology and capitalize in the new era of business. Didn’t have a chance to attend? Don’t fret: SOLIDWORKS World returns again next year as 3D EXPERIENCE World. Feeling a little left out of all the XR action, SOLIDWORKers? Not to worry: we’ve compiled a summary of VIVE’s collaborations and partnerships with NVIDIA, Tsunami XR, and Silverdraft so you can stay up-to-date on the latest tools of your trade. 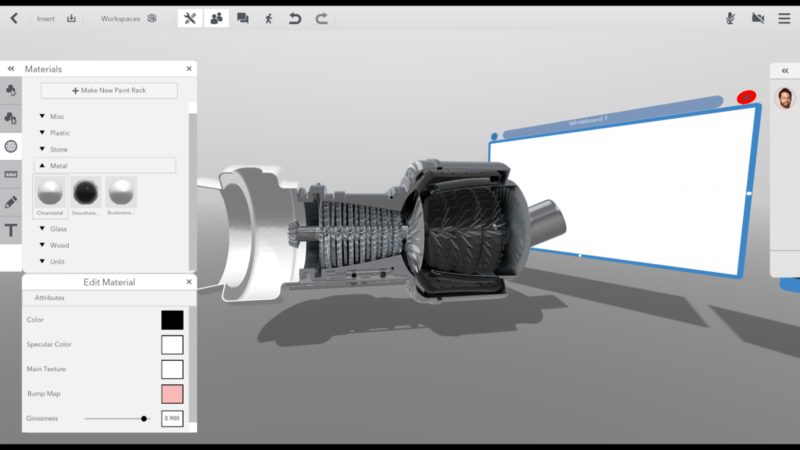 So, you have a detailed CAD model built in SOLIDWORKS, you created some beautiful renderings using SOLIDWORKS Visualize, and now, you need a fast way to review your model in VR with your colleagues. There’s no time to prep the CAD model in another application, and definitely no time to reduce down hundreds of surfaces so a VR app can display them without your boss getting motion sick. What do you do? At SOLIDWORKS World 2019, NVIDIA exhibited the CFH Telescope model—a 27-million-polygon model that went from SOLIDWORKS to SOLIDWORKS Visualize to NVIDIA’s Holodeck with the power of RTX6000. With “Export to Holodeck” in Visualize 2019, your model and materials export to Holodeck ready for VR viewing—no model editing or geometry reduction required. Even better, you can view your Visualize materials or reassign them with 1300 vMaterials in Holodeck. To share the efficient Holodeck workflow, users can collaborate, talk, record, and see their colleague’s avatars in the same experience whether in the same room or across the globe. For more information about Holodeck, please visit the official site. Tsunami XR is revolutionizing the way people communicate and collaborate in business. Launched in 2012, Tsunami XR Workspaces, a spatial computing platform offered by the company, enables customers to build immersive 3D environments such as virtual conference rooms, virtual workshops, and virtual classrooms. Multiple users can join the virtual environments from any location and interact through a variety of devices, including tablets, laptops, desktops, augmented reality devices, and virtual reality headsets. Tsunami XR Workspaces platform supports SOLIDWORKS as well as most of the other popular CAD formats. To further allow designers and engineers to share and engage around spatial content, Tsunami XR is also launching Meet.com, a new service that enables simple, drag-and-drop collaboration experiences to any device via a web browser. We’ll keep you posted on this exciting development that allows people to widely share their work and ideas, spanning all device types, whether desktop, mobile, virtual, or augmented reality. 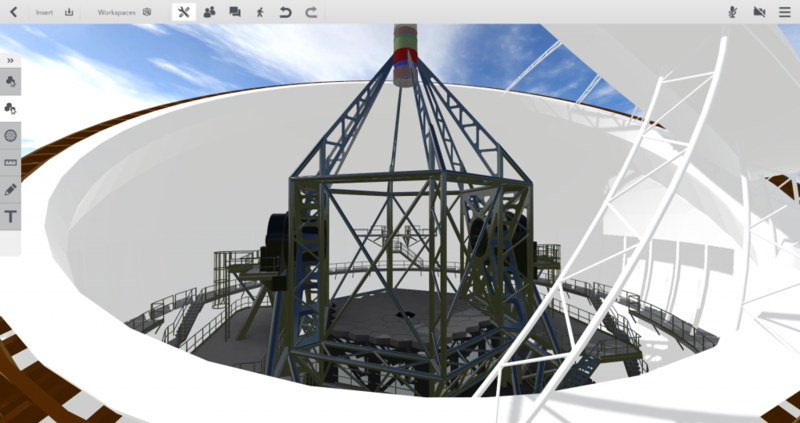 The SOLIDWORKS-provided model of the CFH Telescope through Tsunami XR on VIVE Pro. Visitors will be able to teleport around the full-scale model and play an animation. In addition, they’ll enjoy the full collaboration and annotation tools offered in Tsunami XR Workspaces. A demo workspace that includes a 3D jet engine model, white board, .pdf board and two stream boards to demonstrate Tsunami XR Workspaces cross-device capabilities. Dell Gaming CES Virtual Experience on VIVE Pro. 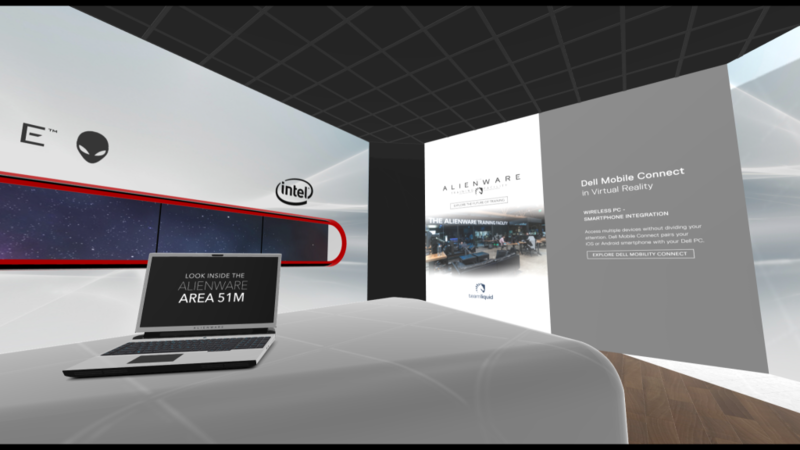 A complete digital twin of Dell Gaming and Alienware’s physical CES booth demonstrates the future of retail shopping in the virtual world. The experience showcases Tsunami XR Workspaces scripting and simulation capabilities. Ameren Training Experience on VIVE Pro. 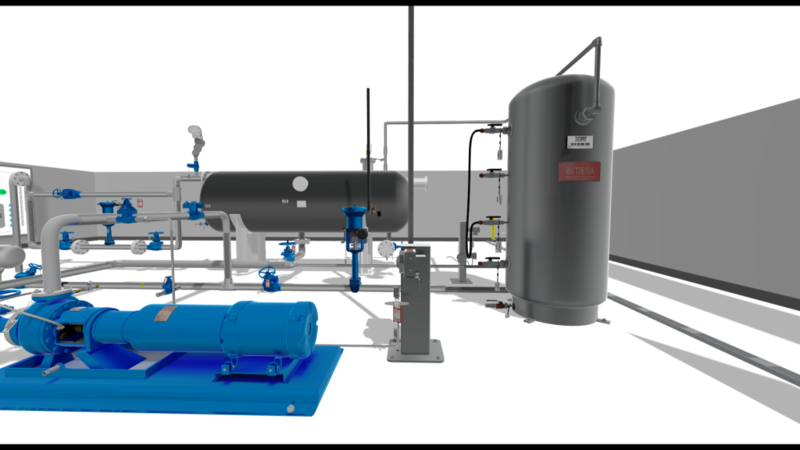 Virtual training has the ability to save lives and reduce costs. The Ameren Training Experience highlights the improved learning and retention of immersive education versus standard 2D methods. Visitors are transported deep inside a nuclear facility to troubleshoot potential threats and learn how to safely mitigate those risks. DemonVR, a first-of-its-kind supercomputer capable of hosting two VIVE Pro headsets simultaneously. Whether you’re in design, VFX, manufacturing, AEC, or simply looking for ways to leverage visualization to enhance your business, Silverdraft can help accelerate your adoption and speed up your ROI. They focus on the use of talented individuals and unique supercomputing architecture to address the significant computational and processing needs of high-end rendering, VR, and visual effects. The Silverdraft process always starts by identifying the bottlenecks in any given workflow to establish which solution is right for the job. Most relevant to those interested in extended reality solutions, and the one showcased at SOLIDWORKS World 2019 is the expert-assembled DemonVR, a first-of-its-kind multiuser VR workstation capable of hosting two VIVE Pro headsets simultaneously. 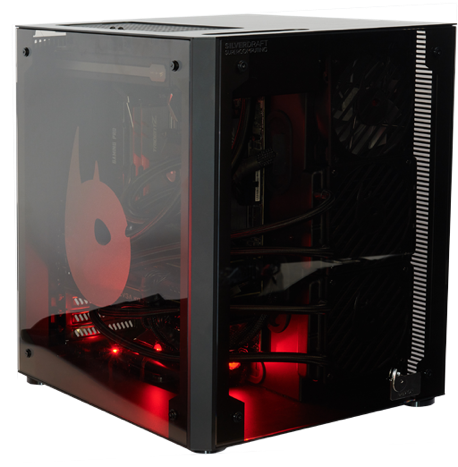 Powered by two NVIDIA P6000s, one NVIDIA P2000 and backed up by a single 18-core Intel Extreme CPU and 64GB of high-speed RAM, DemonVR is designed to deliver smooth, collaborative user experiences.